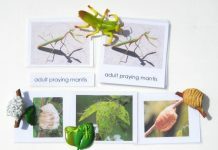 The praying mantis egg sack is made up of a frothy liquid which hardens the overall casing and protect the eggs from external threats. The female lays 10 to 200 or sometimes up to 300 eggs over the period of few weeks. 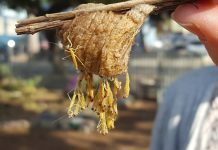 The entire egg sack is known as ootheca. 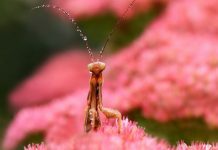 Mantises are the closest relatives of cockroaches. They body lay eggs in sack. 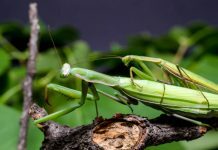 Unfortunately however scientists haven’t studied much of the praying mantis life cycle and reproductive biology in the wild. 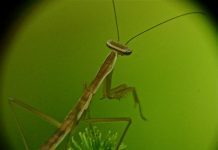 The female mantis can lay eggs either atop tall grass and plants or simply on the ground. However, they will fancy choosing plants to deposit egg sack because on ground the eggs can be vulnerable to predators. The frothy liquid protecting the sack is not hard enough to resist predators such as wasps. The female’s glands produce frothy mass inside her abdomen. 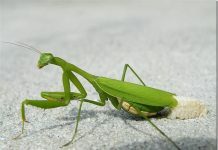 The rectangular-shaped praying mantis measures up to 1 inch in length. 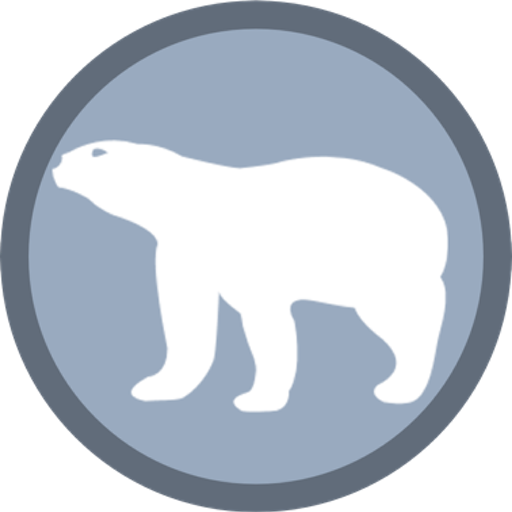 It has rounded edges. The sack is typically recognized by white or tan color. It’s not easy to find mantis sac in your nearby garden but if your tree loses its leaves then you can probably have a look at the sack. 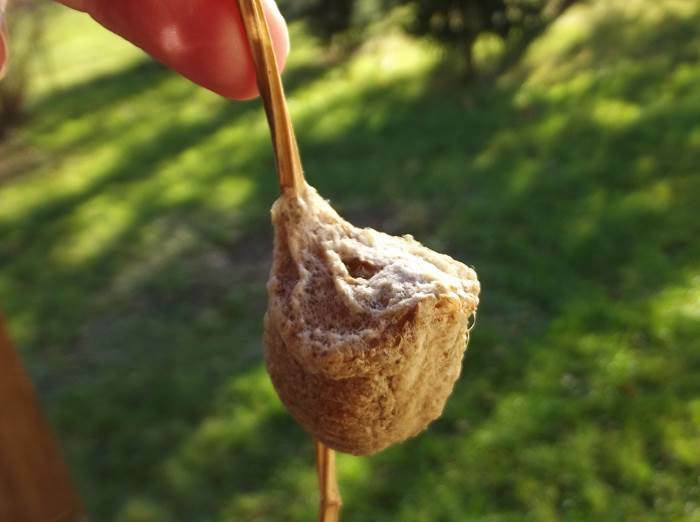 The egg sack can be found in twigs, fences, or even eaves. On egg sack can contain as many as 300 eggs. Most nymphs are unable to reach adulthood. Studies suggest that only one-fifth of nymphs likely become adults. The texture of ootheca is really soft when the female produces a foamy pouch. The ootheca becomes hardened in time so that predators do not get to the eggs easily. The ootheca protects the eggs until the hatch.